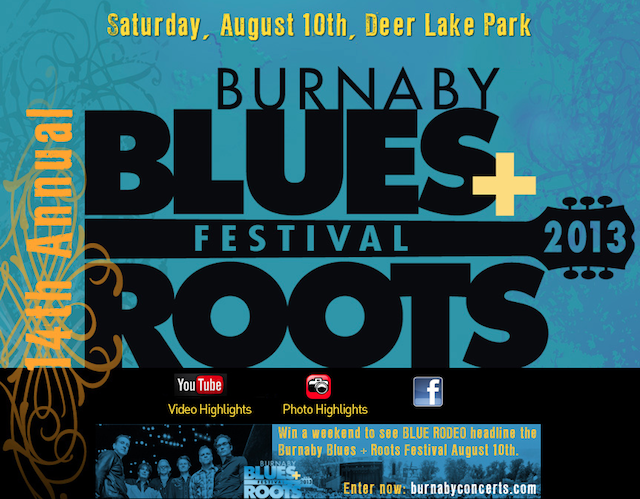 The Burnaby Blues and Roots Festival is coming up on Saturday, August 10, 2013 at Deer Lake Park with top acts such as Blue Rodeo and Charles Bradley (the Screaming Eagle of Soul). A soulful mix of quality tunes, a green backdrop at the lake, the ability to bring your own blankets, low-back beach chairs and coolers, all make this one sweet summer festival in the heart of the city. Tickets are currently on sale for $70 (taxes/fees may apply) or $200 for a party park of 4. Single tickets are available at the door as well for $75. Children 12 years and younger are free at the gates with an accompanying adult. Other performers include Shakura S’Aida, ZZ Ward, Ndidi Onukwulu, David Gogo, Jon and Roy, The Sojourners, John Lee Sanders, Vince Vaccaro, Brickhouse, and Shaun Verreault. Follow the Burnaby Blues and Roots Festival on Facebook for more event information. UniverCity is an impressive new development atop Burnaby Mountain at SFU. I admit I haven’t spent much time at SFU recently and I couldn’t believe the changes throughout the last decade. Condominiums, plazas, beautifully-crafted buildings, grocery shopping, dining options, and my new favourite thing — Yeti Yogurt. In the 1990s, SFU created its Community Trust to build a community that would generate income for the university from development without damaging the environment. That community became UniverCity, a model for practical and affordable sustainability. This residential community is at one of the highest points in Burnaby and celebrates all the city has to offer including the showpiece of summer, the Burnaby Blues and Roots Festival. UniverCity is currently hosting I SPY, a contest to win tickets to the festival. To participate, search for UniverCity stickers hidden within the community each week. Once you have found the sticker, claim your tickets at the Trust office (#150-8960 University High Street) during office hours (Monday to Friday, 8:30am to 4:30pm). Visit the Trust office or follow along on Facebook and Twitter (SFU Community Trust) for clues on the ticket whereabouts. A total of 8 (4 pairs) tickets are up for grabs. Participants are eligible to win a maximum of one pair (2) tickets. The I SPY contest runs until August 9th, 2013. I will draw one winner at random from all entries at 12:00pm on Tuesday, August 6, 2013. The winner’s tickets will be available for pick-up at the UniverCity Trust office. Update The winner is: Judy Cupskey! Sat outside the Folk Fest. Will sit outside the Blues Fest if I don’t win. All good! What a great line up this year! The real winners are the staff and volunteers that work hard to put a great blues show . My hats off to ya’ll! I’m ready to sing, dance and party! Blue Rodeo will be there! Amazing! Blue Rodeo would be cool to see in person! Great music. Great venue. Great times! My and my girlfriend would love to go! Sounds like the best concert lineup of the year! My partner and I would love to go to the Burnaby Blues Festival! Please help us get there, Miss 604! This would be so much fun. I love blue rodeo. Burnaby Blues rocks every year…help get us there for 2013, Miss 604! THANKS!